Copic Markers are a versatile, double-ended marker with an alcohol based ink which dries acid-free. They are non-toxic and ideal for drawing, rendering and Architectural design. 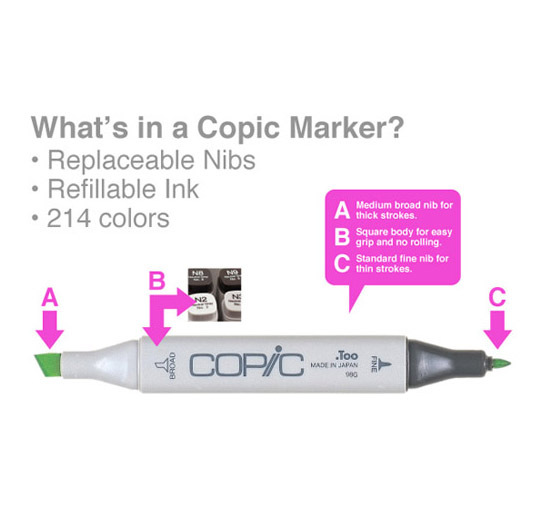 Copic Markers are refillable and nibs can be replaced. The range includes a Colourless Blender and an empty marker that can be filled with any ink from the range. 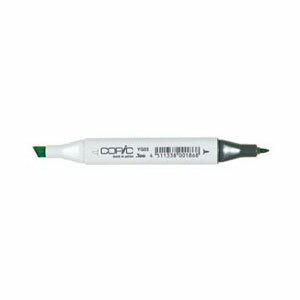 Copic Markers can be used with the Copic Airbrush System. The broad nib offers coverage over larger areas and the fine nib is suited to more detailed work. The Copic Markers Original range enahnces fine art projects, calligraphy and more!